"Our Material" means content, data and materials delivered to you as part of the Services (whether on a computer screen, in email or paper format) or contained in the Websites, including the website design, text and graphics, and their selection and arrangement, and all software compilations, underlying source code and software and applets. "Services" means the services and facilities that we make available to you on the Websites and/or via an authorised Third Party Website from time to time and "Service" shall be interpreted accordingly. "Third Party Website" means the website of a third party which is linked to or from the Websites or on frames within the Websites. This includes, for example, the websites of our selected third party partners who we authorise from time to time to make available access to certain of our Services from those websites. "Third Party Content" means content and material (including but not limited to information, reviews, comment and opinion) belonging to a third party provider of products and/or services. Websites or on frames within the Websites. “Websites” means our websites listed in the section headed “Important information about these Terms and Conditions” below, and any replacement website(s) we may use from time to time. “Website” shall have the meaning given in the terms and conditions specific to the Service you receive. "Your Data" means information and data you have provided to us on or in connection with the Websites and/or Services, which may from time to time include Personal Data as defined by the Data Protection Act 1998 (as amended). 2.1 We will endeavour to provide the Websites and the Services with reasonable care and skill and to ensure that the Services are substantially as described on the Websites and in these Terms and Conditions. 2.2 While we try to ensure that the Websites are functioning correctly, this may not always be achievable. We do not guarantee that the Websites or Services will be available all the time or at any specific time. They may be temporarily suspended if our computer systems used to provide the Websites or Services are under repair or maintenance or are otherwise unavailable. 2.3 We do not guarantee that the Websites will be compatible with all or any hardware and software which you may use. For example, the Websites may not display or operate correctly if you access them using a mobile phone or similar device. 2.4 We take steps to ensure that the Websites and Our Material are free from computer viruses and other harmful computer programs. However, we cannot guarantee this due to the nature of the Internet. You are advised to use appropriate firewall and anti-virus software to protect your computer and data. 2.5 We use reasonable skill and care in the sourcing and supply of the information which is made available to you on or in connection with the Websites or Services. However, in the case of information we obtain from third party sources (including the details supplied by you); we cannot guarantee that any of that information is correct, accurate, complete, error free or up-to-date. 2.6 Nothing provided by us on or in connection with the Websites or Services (including but not limited to specimen documents we provide and replies to questions given via our question and answer forum) is, or shall be deemed to constitute legal or other advice. The information we provide is not intended to be relied on by you in making (or refraining from making) any specific decision or to replace independent professional advice. Any and all information provided by us on or in connection the Website is for general information purposes only. We recommend that you always seek the advice of a lawyer before commencing legal proceedings including entering into a conveyancing transaction. 2.7 Except for the commitments we expressly make in these Terms and Conditions and any additional commitments arising out of your consumer rights granted by law, we do not make any other commitments or warranties about the Websites or the Services. 3.1 For further information about your legal rights and how they may be affected by these Terms and Conditions including this section on our liability to you, we advise you to contact your local Citizens Advice Bureau. If any problems arise with your use of the Websites or Services please contact us as soon as possible. 3.3 We are not responsible to you for any loss or damage suffered by you which was not a reasonably foreseeable or obvious consequence of us breaching these Terms and Conditions - for example, if you and we could not have anticipated those losses before or when you accessed the Websites or used the Services or it was not obvious that those losses would result. 3.4 We are not responsible to you for losses which you suffer due to any events beyond our reasonable control. 3.5 We are not responsible to you for losses which you suffer which are not directly caused by our actions (or our failure to act). 3.6 Unless we have been negligent then we are not responsible to you for any damage caused to any hardware or software used to access, use or download the Services. 4.1 Unless the contrary is expressly stated the legal information contained in the Websites and Services relates to the law of England and Wales only. 6.1 be able to use some of the Services you will need to register on the Website and log-in using your unique log-in details supplied as part of the registration process (e.g. username, password). You are responsible for keeping your log-in details confidential and they should not be shared. 6.2 You should contact us as soon as possible if you believe that anyone has obtained your log-in details without your permission or if you become aware of any other breach of security on the Websites. We will not be responsible to you if there is unauthorised access to your log-in details or unauthorised activity on the Websites as a result of your log-in details becoming known by someone else, unless this is due to our negligence. 7.1 The prices on the Websites are checked regularly to ensure that they are correct. We may change the prices from time to time. If you are a subscriber to a subscription Service, we will notify you in advance of any price changes that will affect your future payments by posting a notice on the relevant Website and we advise you to regularly check the Websites for any such notices. 7.2 The prices for Services indicated on our Websites include all taxes, including VAT, which may be payable in respect of the Services. All payments taken will be in pounds Sterling. 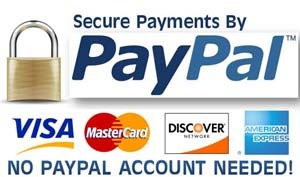 7.3 The payment methods we accept for payment are shown on the Websites. 7.4 It is your responsibility to ensure that all payment details you provide are correct and complete. We are not responsible for supplying Services if the details you submit are incorrect or incomplete. 7.5 No payment will be deemed to have been made until we have cleared funds and we may choose not provide Services until we receive payment in full. If we are unable to accept your request for Services for any reason then we will, at our option, refund any money paid by you in respect of that request. 7.6 We are not responsible for any overdraft or “over the limit” charges or bank fees if your payment card account or facility contains insufficient credit or funds when we take payment for the Services. 7.7 Please note we may receive commission and fees from certain third parties who advertise on or are linked to the Websites or as a result of you having purchased products and/or services. All such commission and fees shall be retained in full by us. 7.8 In the event that you proceed to purchase a product or service from a third party, the charges and payment terms will be subject to that third party’s relevant terms and conditions. 8.1 You are permitted to access and make personal non-commercial use of the Websites and Our Material we make available on the Websites for lawful purposes only and in a manner that does not infringe our intellectual property rights or those of third parties. Any access or use other than that which is personal non-commercial must be expressly agreed by us in writing and in advance. We do not give you permission to do anything with the Websites except to browse their contents and use any Services we make available to you. 8.2 You must take care not to do anything that could harm the Websites or the computer systems which host the Websites. You must not do anything that restricts or inhibits the use and enjoyment of the Websites by other users. 8.3 You are responsible for ensuring that Your Data submitted to the Websites is true and accurate and free from viruses and other harmful code. 8.4 The Websites contain content which is made available by us (being Our Material) and by third parties (being Third Party Content). All information delivered to you in the course of the Services and all intellectual property rights, including copyright, in Our Material belong to us or our licensors. All intellectual property rights in Third Party Content belong to the relevant third party or their licensors. 8.5 None of Our Material or the Third Party Content contained in the Websites may be reproduced or redistributed without our prior written permission, except that you may download or print copies for your own personal non-commercial use. 10.1 You are free to stop using the Websites and any optional features of the Services at any time. 10.2 Please note, because we begin to set up and provide the Services immediately following your request, you will not be permitted to cancel the Services under the Consumer Protection (Distance Selling) Regulations 2000. 10.3 We may terminate or suspend your access to log-in areas of the Websites and/or your use of any of the Services without notifying you if in our view there has been a serious failure by you to comply with your responsibilities in these Terms and Conditions (for example non-payment or misuse of the Website or Our Materials or for fraud). If we do so, we may delete our records of your registration details and Your Data without liability to you. 11.1 The Websites may contain links to other websites and Third Party Content in respect of products and services, either directly or indirectly through frames. Where possible, we will make it clear where such links are being made. We are not responsible for Third Party Content or the availability of Third Party Websites. 11.2 You can make requests for and purchase a number of products and services on Third Party Websites via our Websites. Please be aware that such products and services are not provided by us and are provided by third parties over whom we have no control. 11.3 We do not endorse or take responsibility for any Third Party Content or any offers, arranging or advice (including but not limited to the comment, opinions, or recommendations) provided by third parties. You will need to validate the information and check the details of what is being offered by such third parties for yourself. 11.4 Third Party Content and third party products and services available on the Websites or linked to from the Websites are subject to the separate terms and conditions and privacy policies of the relevant third party (in the case of privacy policies where the third party is collecting information from you, otherwise, where we collect information from you then our relevant privacy policies will apply). You should check them on the relevant Third Party Website and ensure that you are comfortable with them (and take legal advice if necessary) before making any application for the third party’s products or services. We are not responsible for any arrangements or agreements made between you and the relevant third party and they are entered into at your sole risk and expense. 11.5 Information about third party products and/or services made available to you on or in connection with the Websites or on a Third Party Website is not intended to be an exhaustive list of all the products and/or services that could be available to you. 11.6 Where authorised by us from time to time, certain of our Services may be made available to you by our selected third party partners via their Third Party Websites. These Terms and Conditions will apply to your use of any such Services and will form a contract between you and us in respect of those Services. 12.1 In the unlikely event that you have cause to complain about any of our Services, our contact details can be found on the relevant Website. 13.1 Sometimes, because of changes to the Websites or Services, changes in the law or our arrangements with third parties, we may have to make changes to these Terms and Conditions. You can tell when changes have been made by checking the version and date on which they were last modified indicated at the start of these Terms and Conditions. 13.2 We will not notify you individually of any changes in these Terms and Conditions. It is therefore important that you check these Terms and Conditions regularly and in particular on each occasion when you request Services. 14.1 These Terms and Conditions are a contract between you and us and form the entire agreement between us. No-one except us and you has any right to enforce these Terms and Conditions by virtue of the Contracts (Rights of Third Parties) Act 1999. Conditions to any other person. 14.3 We may in our discretion discontinue or modify any of the Websites or Services at any time. We will try to ensure that any such discontinuation or modification does not materially adversely affect the nature of the Services provided to you. 14.4 You must not create hypertext links to the Websites without our prior written permission. 14.5 All communications between us will be conducted in the English language. 14.6 Any notices we send to you will be sent to the most recent e-mail address or postal address provided to us by you. 14.7 English law applies to these Terms and Conditions. If any disputes arise between you and us in relation to these Terms and Conditions and you want to take court proceedings, you must do so in the English courts unless you reside in Scotland, Wales or Northern Ireland, in which case you may do so in the courts of the country in which you reside.